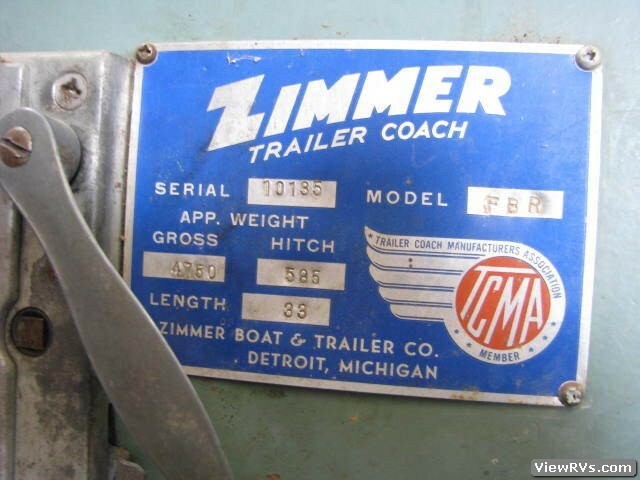 1949 Zimmer FBR 33' Travel Trailer Exhibit "A"
EXTERIOR: This old Zimmer trailer is 99% original, complete and intact. It had been sitting under a shelter for most of it's life. 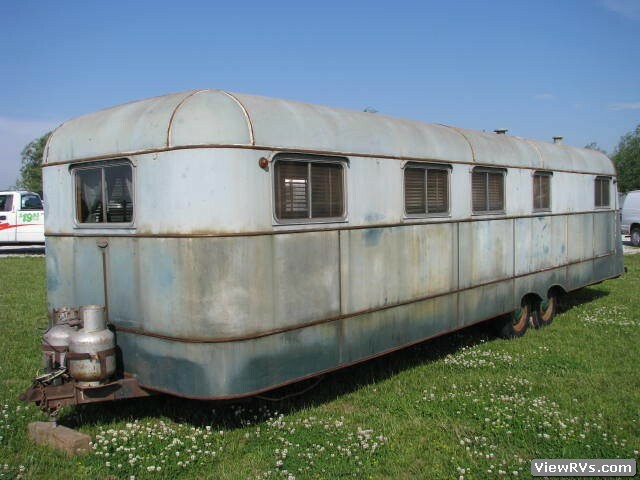 The exterior is dent free, has the original paint, and has a very cool bread box style body. 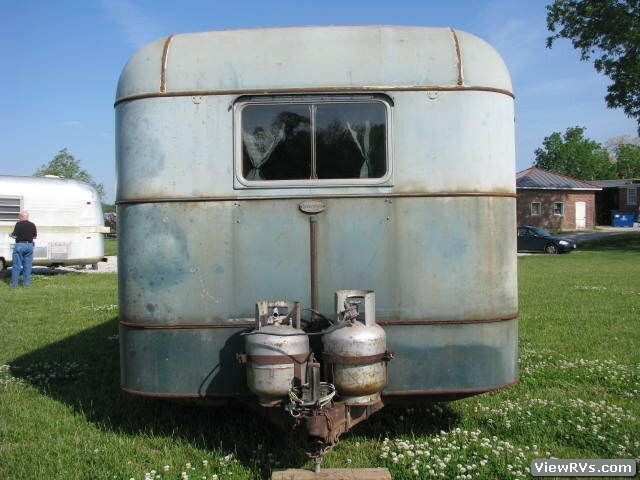 This old trailer is like a time capsule, it is un-modified and would be a fairly simple restoration. 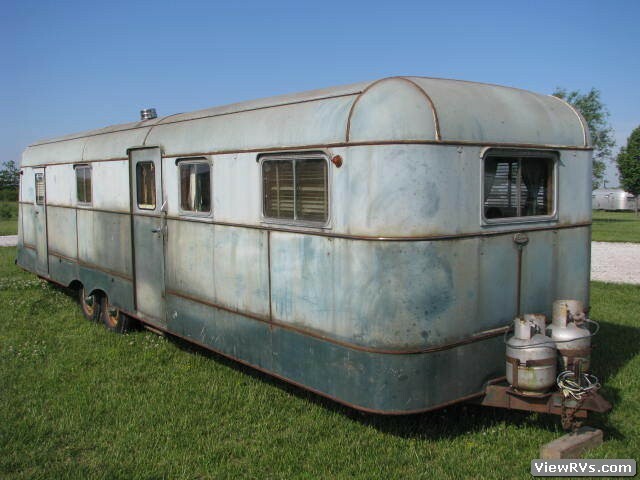 I had to really hunt to find any dents or damage on the exterior of this trailer. Finally, I found a few very small dents here and there. 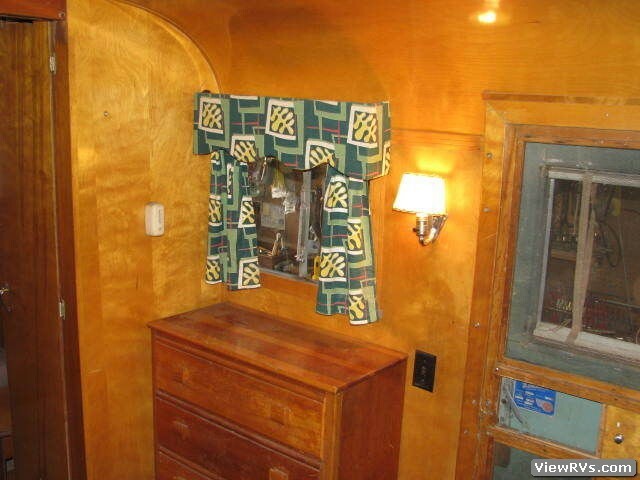 The rusty trim is what really makes this trailer look ugly. If this trim were replaced with aluminum trim it would help the exterior appearance 100%. There are several screw holes under 2 of the front windows from where someone mounted some brackets. 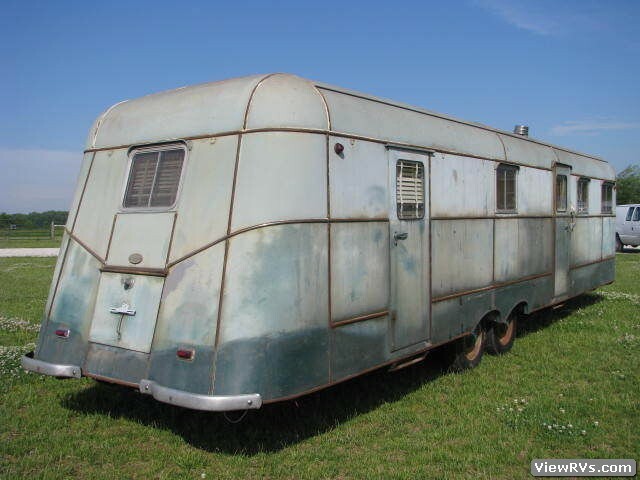 Overall this trailer has a very straight, clean and dent free exterior. 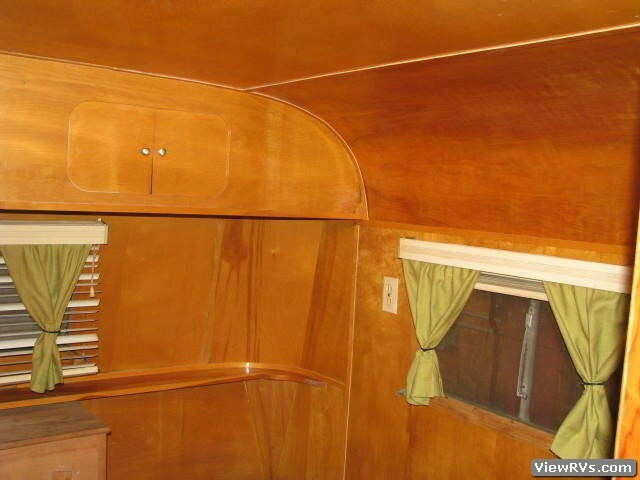 INTERIOR: This trailer has an awesome original and intact interior. The birch wood work is in very nice shape. 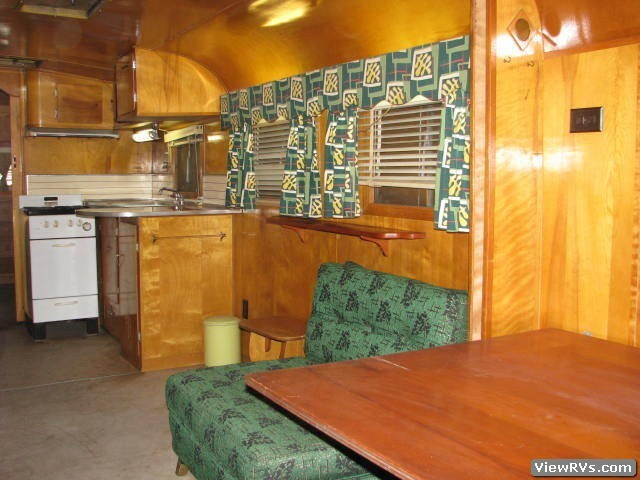 The linoleum has a very cool vintage pattern and is good in most areas of the trailer. 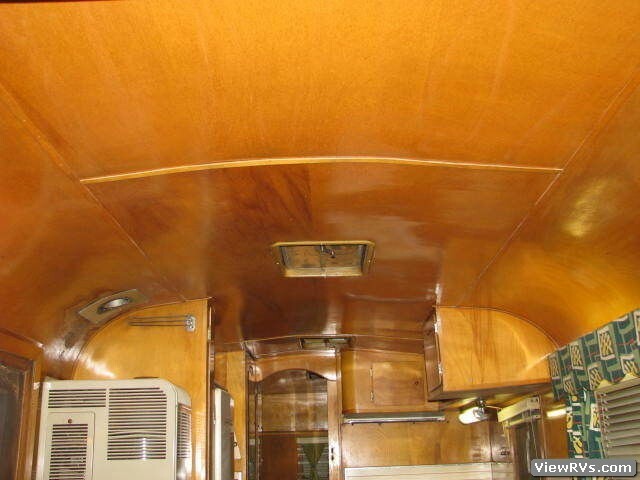 Original birch walls in great shape. Only water damage I could find was where flue for furnace went through ceiling and this is a very common area for water stains. This is a one of a kind find. RUNNING GEAR: Has the original running gear. Wheel bearings have been inspected, repacked and replaced if necessary. 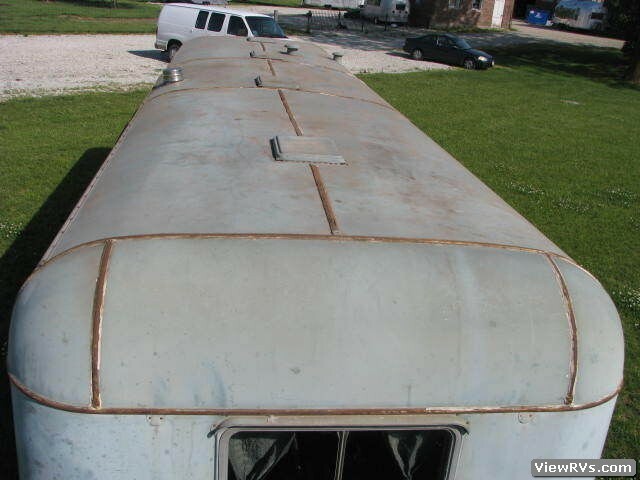 We towed this trailer over 450 miles with no problems and it towed great. All 4 are brand new 6:50-16LT 6 ply bias tires mounted on original non split rims which are 6 lug on 5-1/2" bolt circle. Electric brakes in working order. 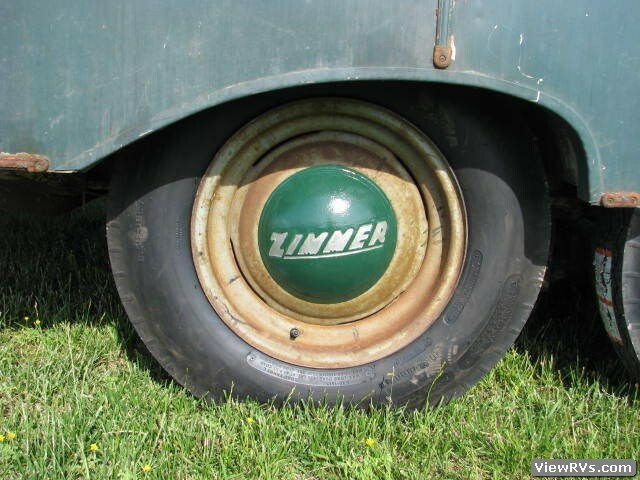 Only rear axle has brakes. Dry weight is 4750 lbs. FURNISHINGS: Has original Simmons brand living room chair that converts into a bed for 1. Looks like new!!! 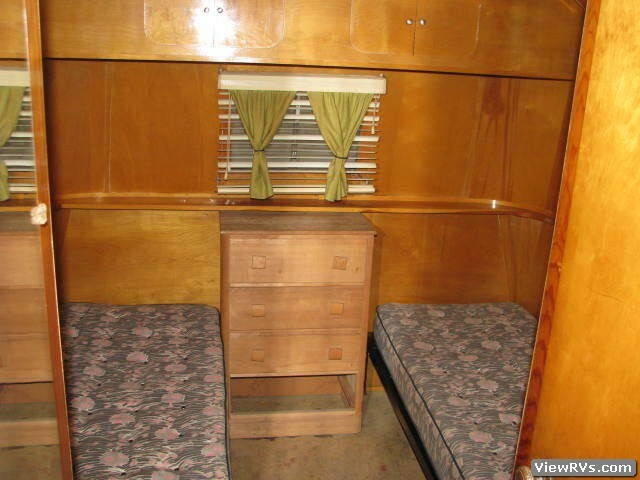 Has 2 - 29" x 74" twin beds in rear which are on original metal frames. 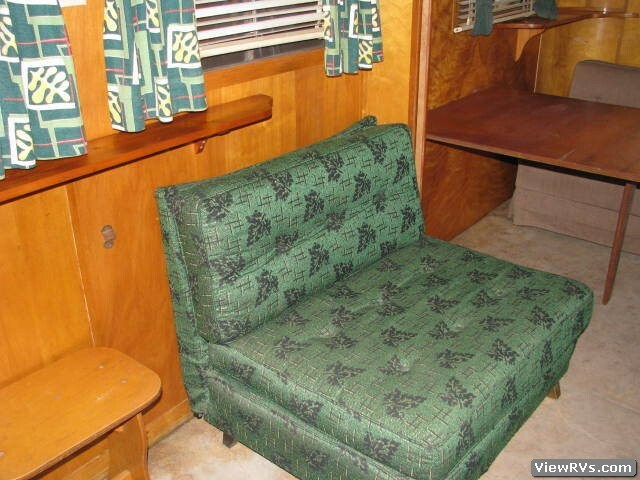 Has original Click-Clack couch in working condition with original upholstery in decent shape. 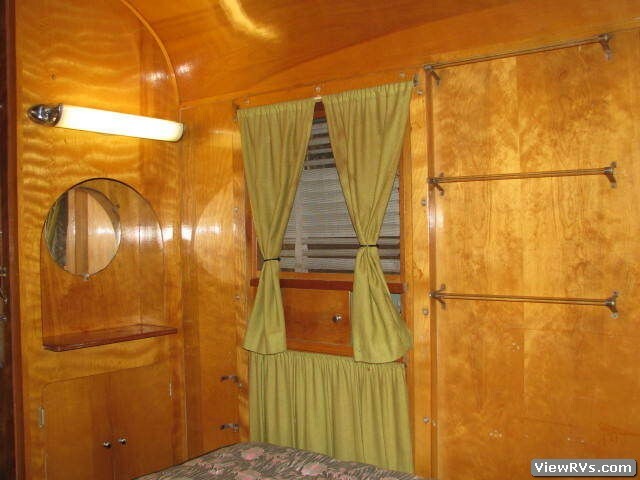 Has original curtains which are in decent shape. 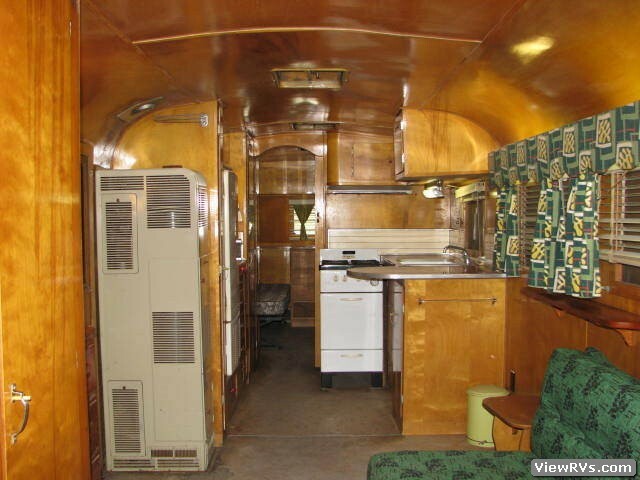 ELECTRICAL: All original electrical system. 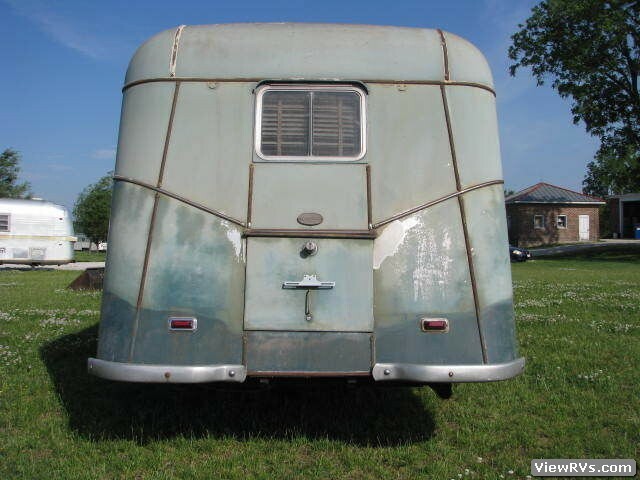 Has screw in glass fuses in trunk area. All 110 volt outlets work. 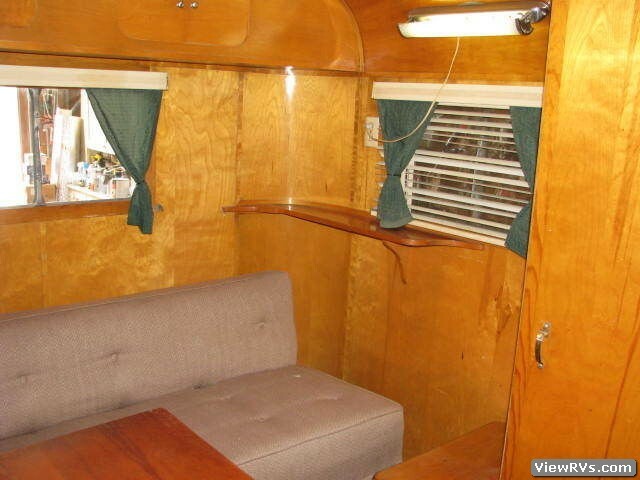 Has all original interior light fixtures and all in working order. Has original lighted grab bar to right of front door in working order. LP SYSTEM: Has the original LP system intact with copper lines, old regulator and tanks. Entire LP system and all appliances should be checked by certified expert before use. 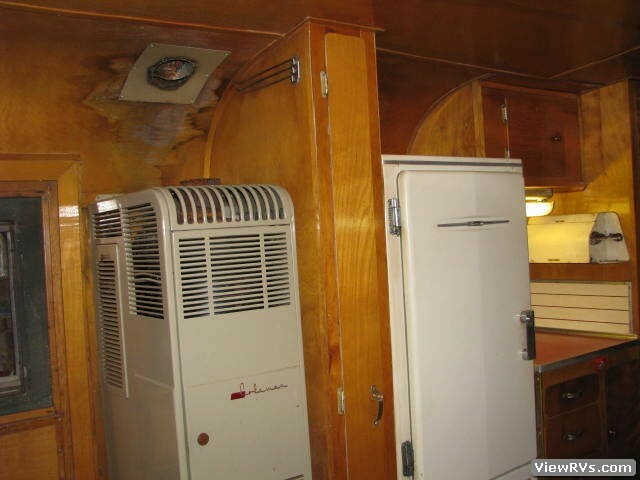 Original Coleman fuel oil furnace with floor ducted heat. Untested and needs flue pipe. Has 2 older LP tanks but they don't match. 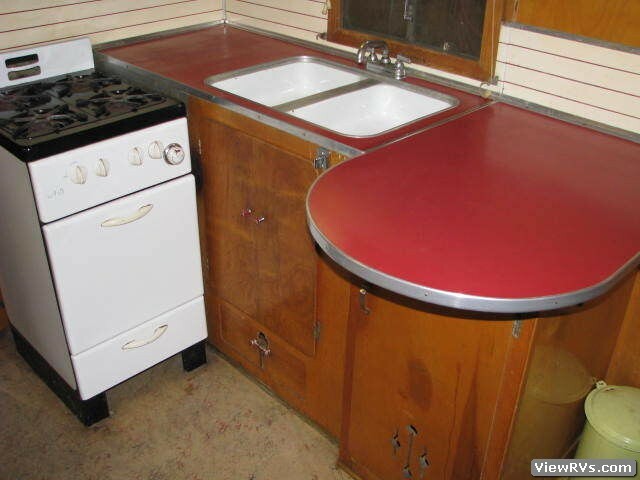 Original AB Brand gas stove with 4 top burners and oven. Range works but burners need cleaned. 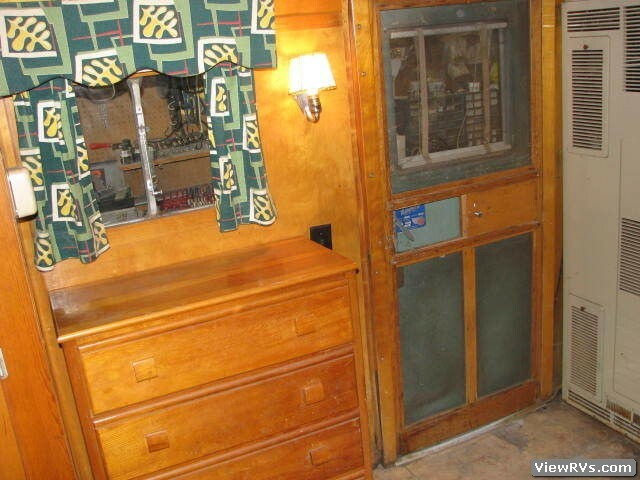 Original Sanitary brand Refrigerator 110 volt in working order. Original Bowen brand 110 volt 5 gallon water heater. Untested. 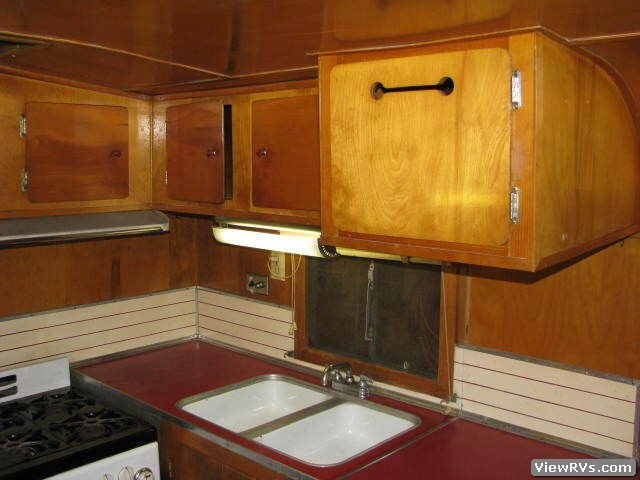 PLUMBING: Has original plumbing with copper fresh lines and rubber drain lines. Did a visual inspection and did not see any cracked water lines but have not tested system with water. Has very cool original shower which is wall to wall aluminum. 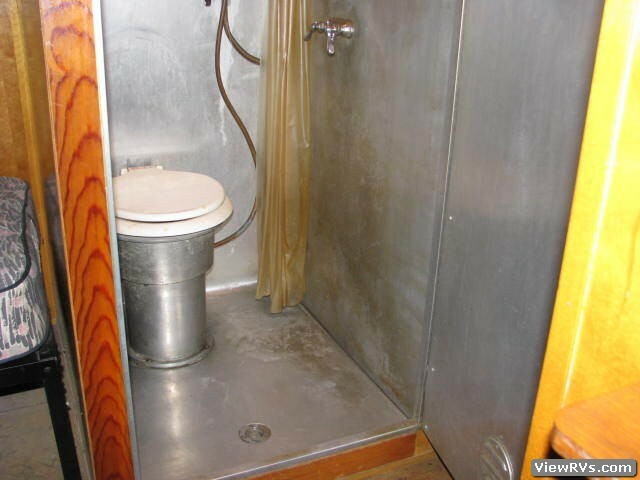 Original aluminum toilet with fresh water flusher. 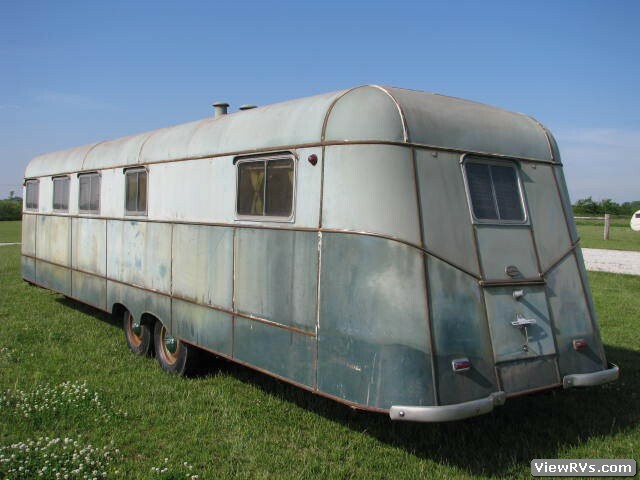 Rarely do I find such a complete, original and intact trailer from the 40's in this nice of shape. 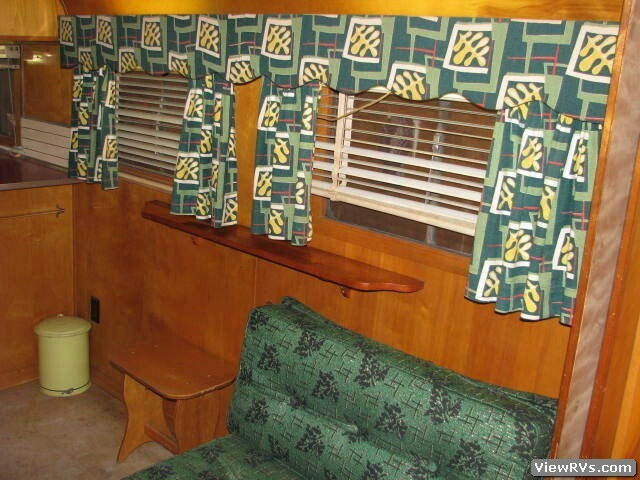 This old girl even has the original bark cloth curtains.